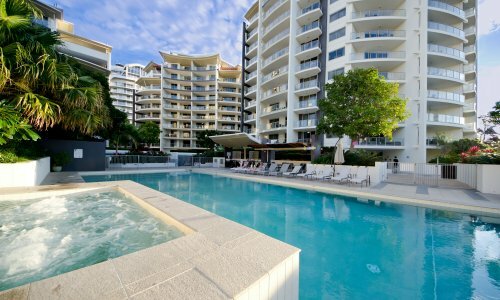 Combining outstanding facilities with an unbeatable central Surfers Paradise location, Trilogy Surfers Paradise sets the scene for a Gold Coast break to remember. 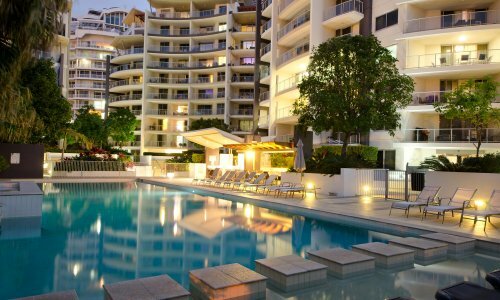 The resort’s inviting heated swimming pool is sure to tempt you in for a dip throughout your stay. 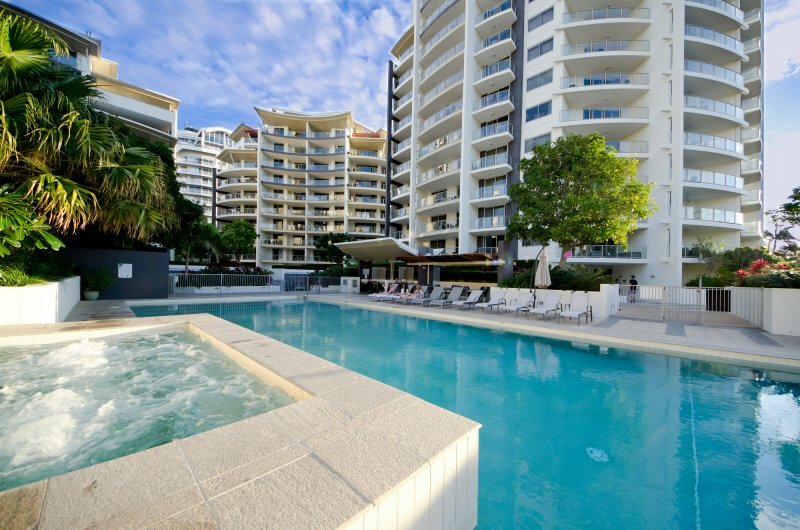 Treat yourself to a long soak in the reviving bubbles of the spa at our Budds Beach accommodation. 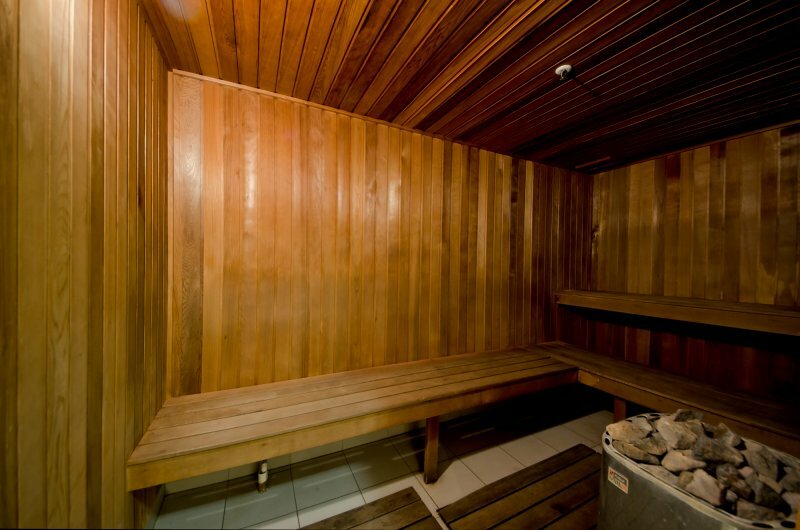 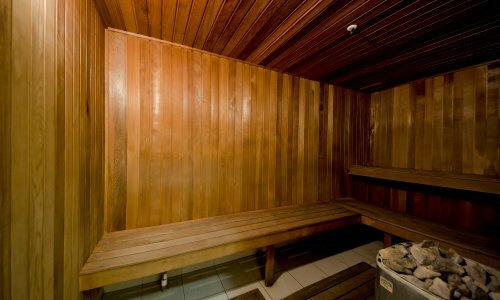 After a busy day exploring the restaurants and boutiques of Cavill Avenue, pamper yourself in the invigorating steam of the sauna. 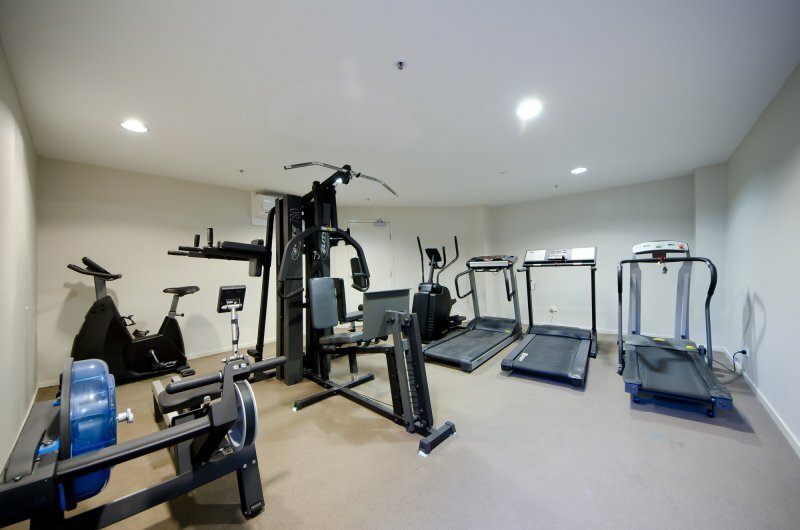 Enjoy an energising morning workout in the resort’s modern gym. 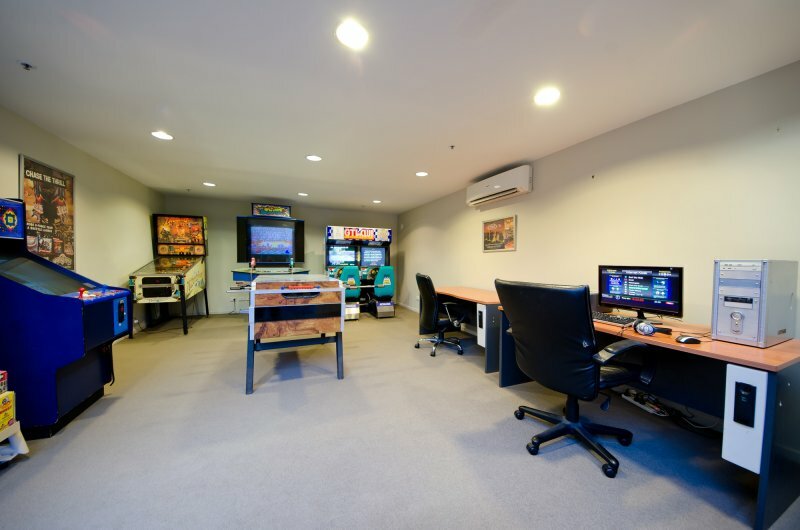 While you relax by the pool, kids will have hours of fun in our entertainment-packed Games Room. 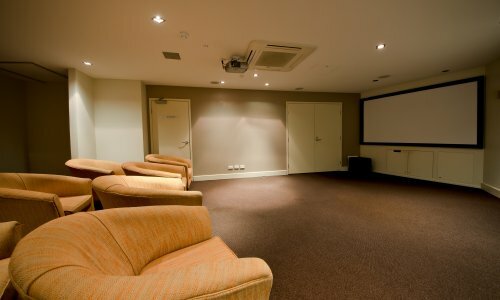 The resort features a modern theatre/conference room for corporate guests. 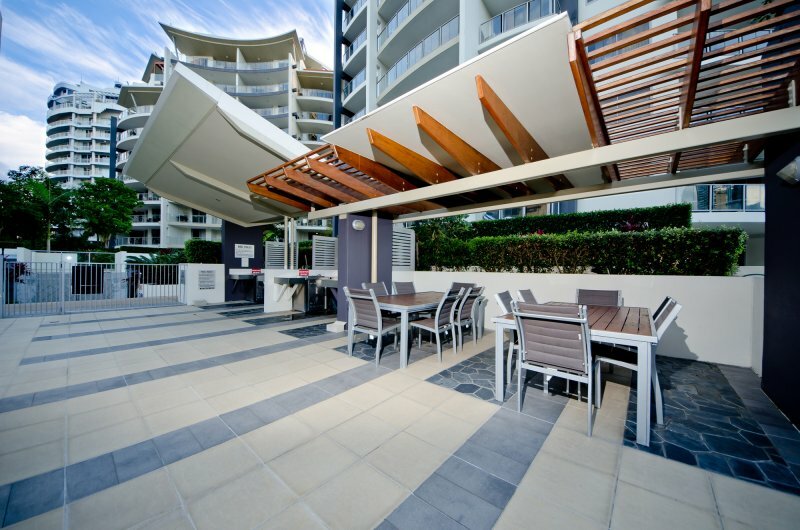 Unwind over an alfresco family feast in the undercover barbecue area. 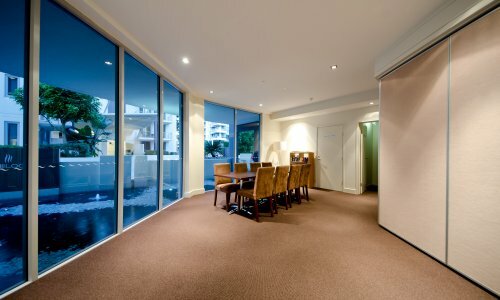 With free wireless internet access in every apartment, keeping up to date with friends and colleagues is quick and easy. 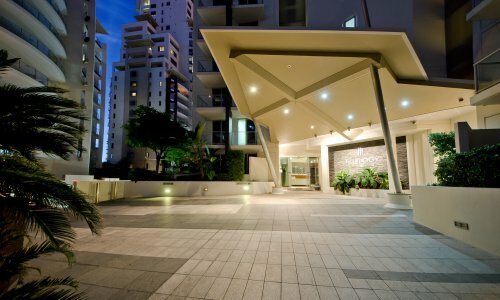 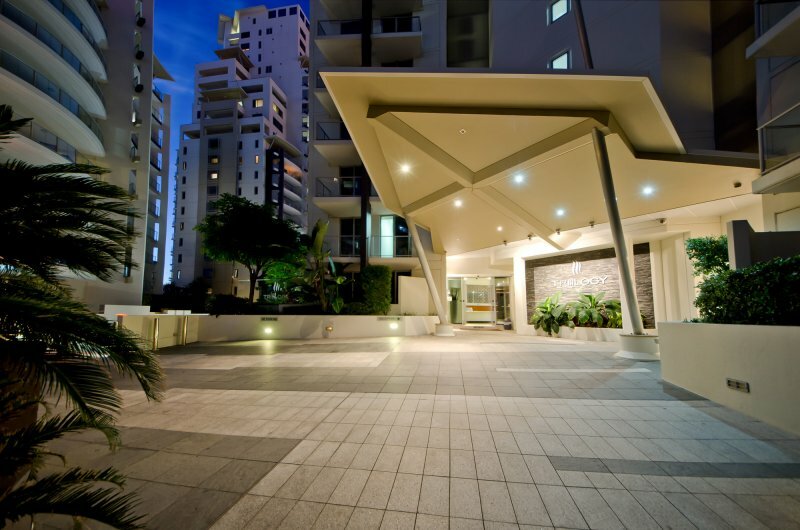 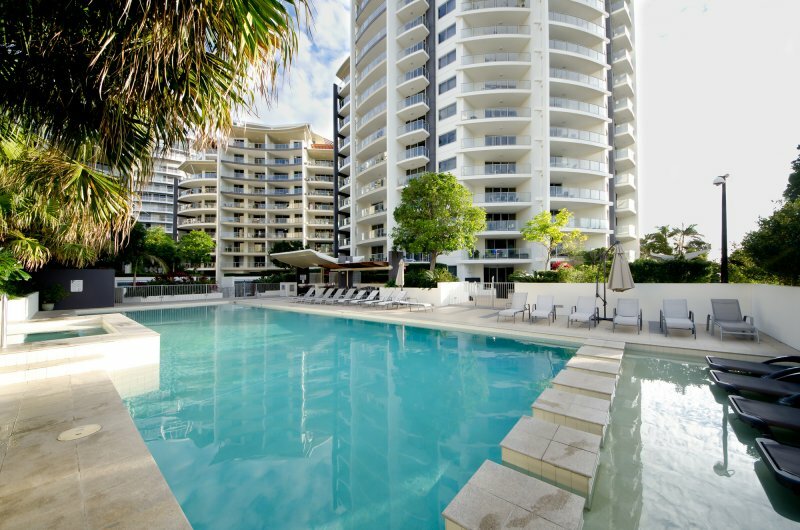 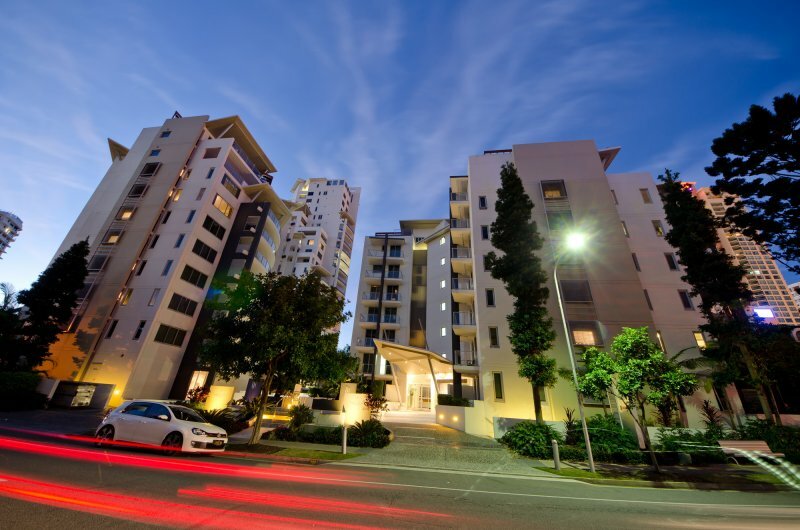 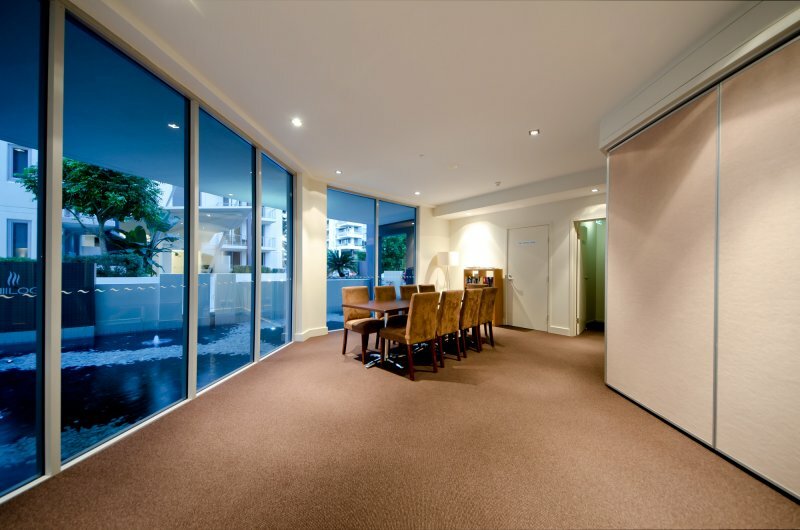 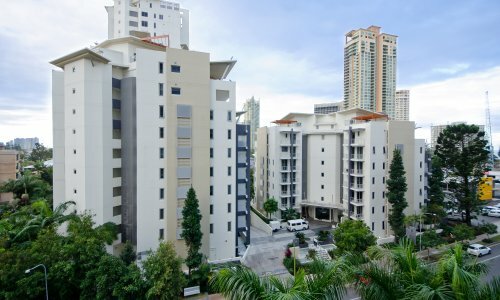 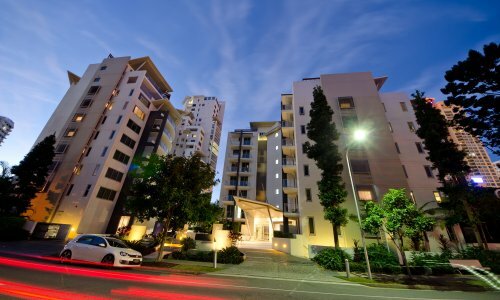 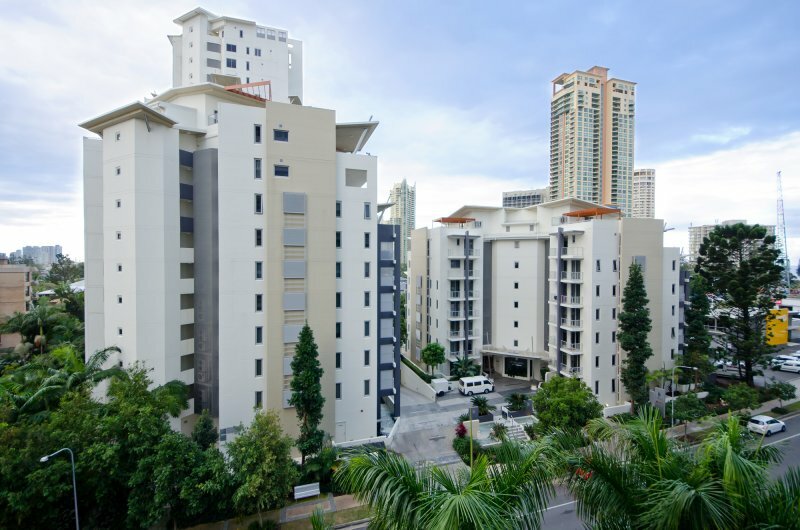 There is secure, free undercover parking for guests at Trilogy Surfers Paradise luxury apartments. 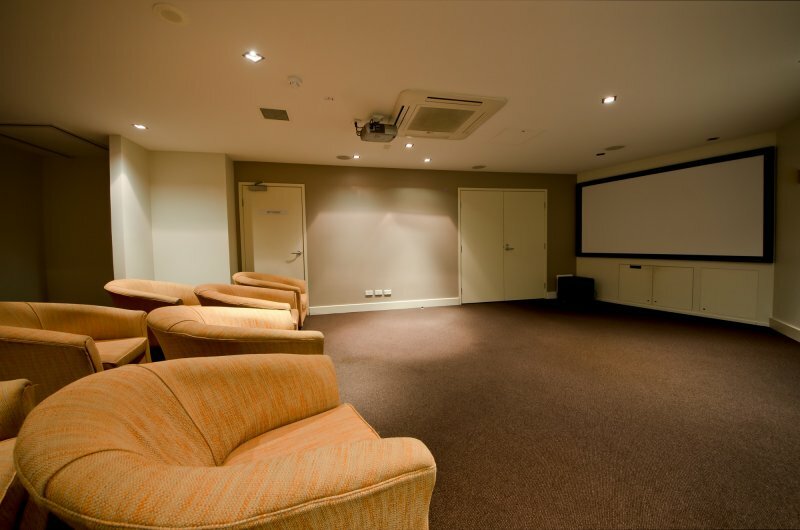 Click an image below to zoom and view the building and facilities gallery.